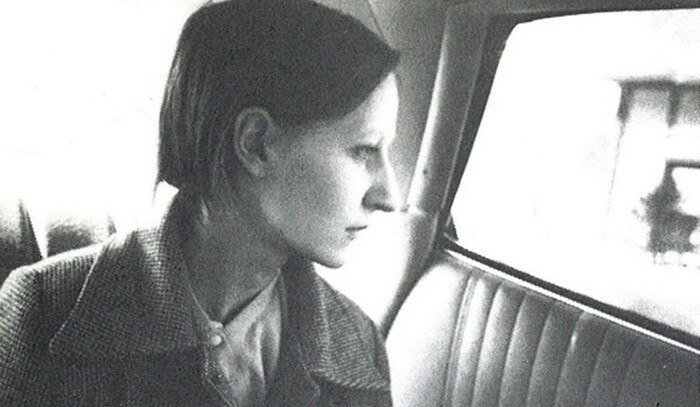 Earlier this year Films We Like released a two-disc set on the idiosyncratic New York indie Sara Driver, a filmmaking contemporary (and a longtime partner) of Jim Jarmusch who handled production on his early features Permanent Vacation (1980) and Stranger Than Paradise (1984). 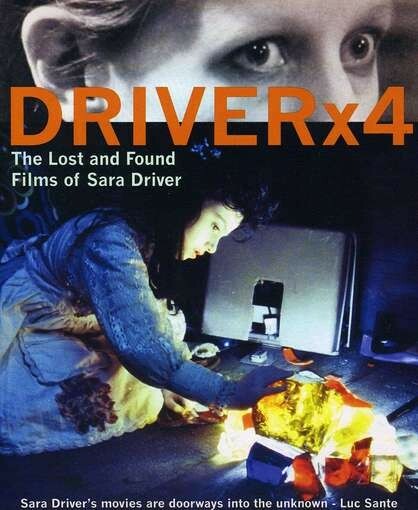 Driver made her own directing debut with the striking mood piece You Are Not I (1981) and followed it with two surehanded exercises in low-key surrealism, Sleepwalk (1986) and When Pigs Fly (1993). All three movies are included in the set, along with her short video documentary Bowery—Spring, 1994; a 15-minute retrospective interview between Driver and Jonathan Rosenbaum, an early champion of You Are Not I; and, for Clash fans, Jarmusch's half-hour video of Joe Strummer mixing and laying down vocals for the soundtrack of When Pigs Fly. In the interview Driver claims Hollywood director Jacques Tourneur (Cat People, I Walked With a Zombie) as a strong influence, noting that "he would anchor things in a sense of reality. He would go anywhere from there." That's certainly the case with You Are Not I, adapted from a Paul Bowles story, in which a schizophrenic woman (Suzanne Fletcher) manages to escape from a mental hospital during an auto disaster near the front gate that leaves numerous people dead (the silent wanderer pulls down the sheets covering their faces and inserts stones into their mouths). Shot by Jarmusch in low-contrast black and white, the movie has a low-budget, documentary feel that actually enhances the ghostly vibe, as in the cult horror flick Carnival of Souls (1962). The story may not qualify as supernatural, but it's definitely otherworldly. Sleepwalk is longer, gentler, and more reminiscent of Jarmusch's comedies, especially in the comic interplay between the heroine (Fletcher again), who works as a compositor for a publishing company, and her workplace pal, a va-va-voom redhead (Ann Magnuson). "Those shoes make your legs look nice," observes an art-department nerd, played by a very young Steve Buscemi. "What do you know about legs?" the redhead asks, which so unnerves him that he scatters a stack of slides. Snaking around this deadpan character work is a strange intrigue involving a Chinese manuscript, purloined from a ruby-red room in the opening scene, that winds up in the hands of the compositor as a freelance translation job. Driver took advantage of a German subsidy to direct her third feature, When Pigs Fly, and the deal gave her complete artistic control as long as she shot in Germany. Jarmusch had photographed her first two films, but for this one she hired veteran cinematographer Robby Muller (Dead Man, Breaking the Waves) and scouted locations in Hamburg and in Wismar (where, she notes with satisfaction, F.W. Murnau shot external scenes for Nosferatu). Inspired by the old Cary Grant comedy Topper, the movie is a ghost story whose sad-sack hero (Alfred Molina) acquires a rocking chair haunted by a dead woman (Marianne Faithfull) and her young daughter. Its opening gag epitomizes Driver's sense of humor and of reverie: as the snoring Molina dreams of playing xylophone with a red-hot jazz outfit, his snoring dog dreams of smoking cigars and drinking champagne. There other ghosts on hand: Strummer shows the late, lamented punk rocker cranking out music for the soundtrack; as Driver explains in the interview, he recorded in Wales for only three days, but career problems had kept him out of the studio for so long that, given the opportunity to work, he recorded nine hours of music. (Only two songs and a swamp-rock instrumental made the soundtrack.) The other video short, Bowery—Spring, 1994, plays like an update to Lionel Rogosin's famous skid-row documentary On the Bowery, though 35 years after the initial film, the famously destitute neighborhood shows signs of regeneration. The video doesn't compare to the other three works, but it reminds you how far a filmmaker can travel without ever leaving the pavement.